A collection of Bollywood U.K. Garage remixes by DJ Zedi, originally mixed between 2002 and 2003. A throwback for the old skool DJ Zedi fans, which should appeal to new skool fans too. This compilation is a non-stop, live mix by DJ Zedi, to keep you locked for about 45 mins with classic & melodious 2-step beats! 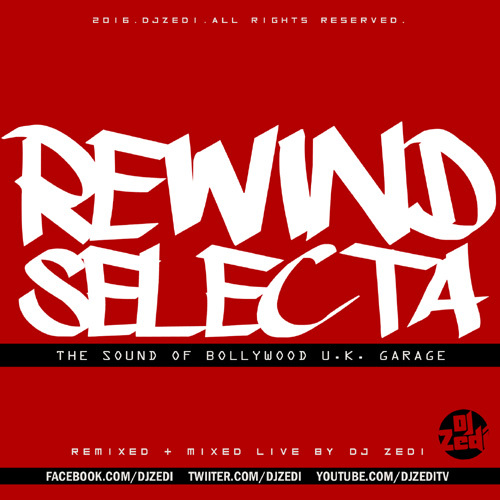 Bollywood + UK Garage = REWIND SELECTA.